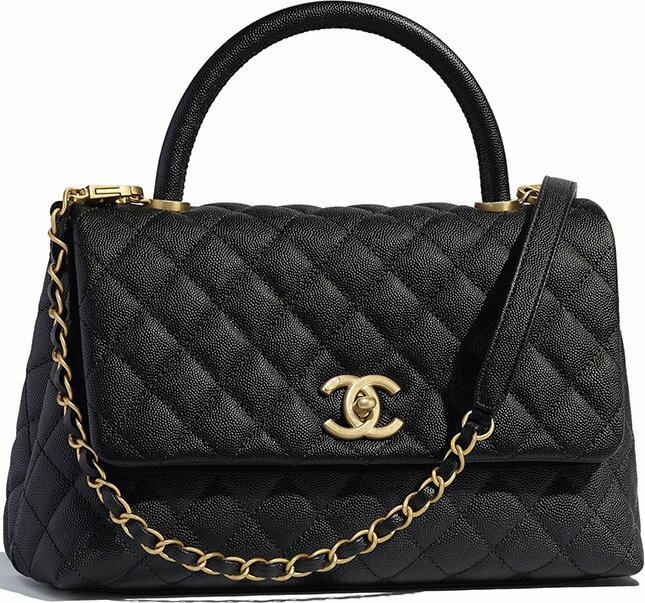 So you’re about to get the most popular handbag in high fashion today – the Chanel Coco Handle Bag. I’m also very excited for you, but before you run to the nearest boutique, read this important information first. Have you decided yet? Do you want the diamond quilting or the chevron quilting? Both looks delicious, but you need to make a decision, right? Did you know that there are differences between the diamond and chevron quilting? And it’s much more than only the look, because there are also price differences. 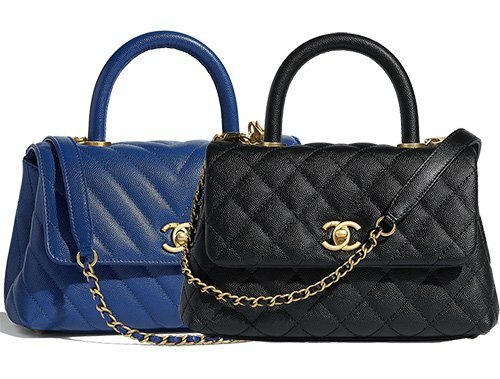 What’s the Chanel Coco handle Bag? 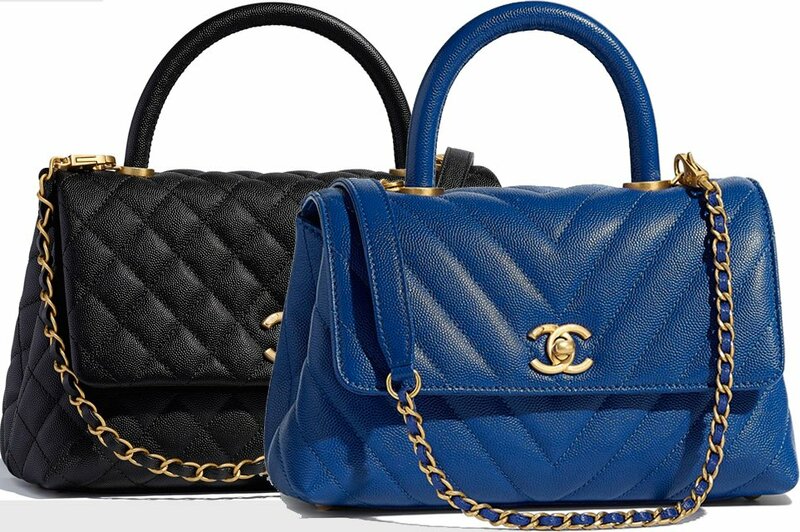 It’s one of Chanel’s most famous non-classic handbags right now. With non-classic, we mean it’s not a very old bag. 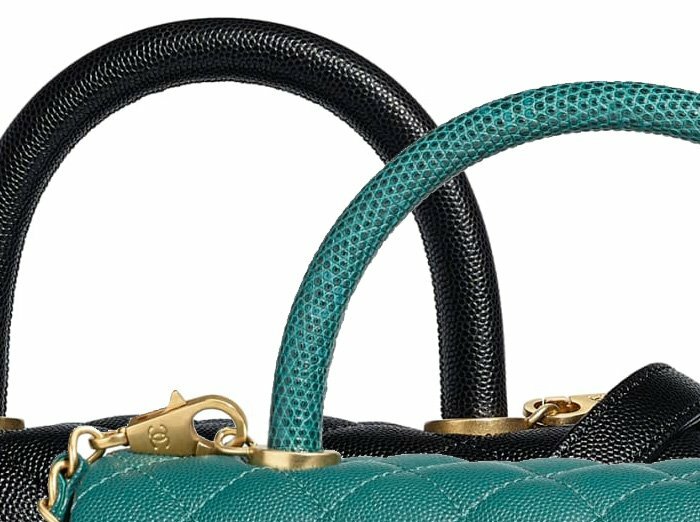 The Classic Flap Bag and the Reissue 2.55 Bag are created a long time ago, so they deserve the title ‘Classic’. The Coco Handle Bag is introduced in the year 2015 and it was an instant-hit. The high fashion world loved it, fashionista’s chased it and the supply decreases while the price increases. 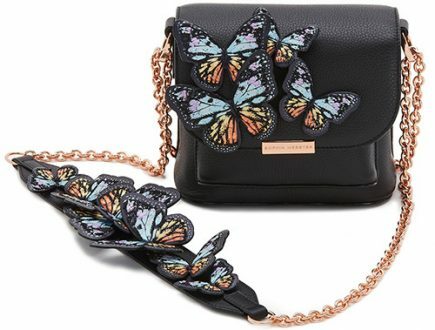 Ultimately, the price of this bag has been increased by 33% since it was first launched. Don’t belief it? Read the Chanel Price Increase 2018 Report. 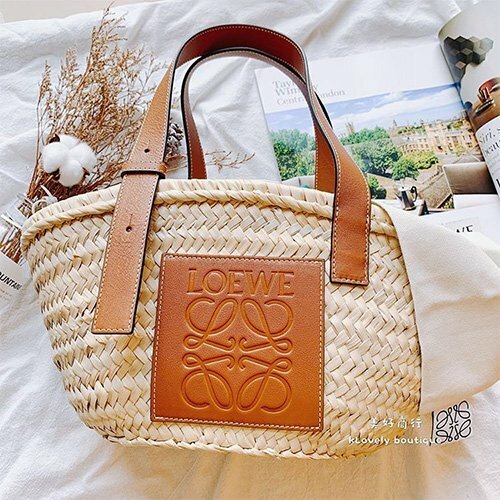 The Coco Handle Bag was introduced exactly at the moment when Handle Bags became the new trend. Is it a coincidence? There is something unique about the handle of this bag. You see, there are two versions; one is crafted with Calfskin Handle and the other is crafted with Lizard Handle. The Lizard handle is more expensive than the Calfskin Handle. But how much more expensive? Here’s an experiment. 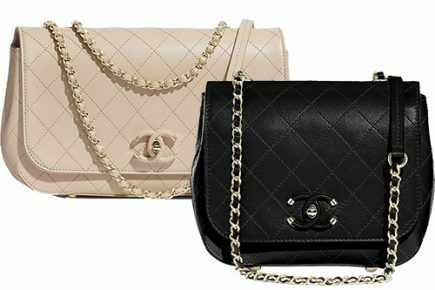 We compared the prices of the Chanel Small Coco Handle Bag in diamond quilting. One is with Calfskin Handle and the other one is in Lizard Handle. The style code is A92991. The price differences between the Calfskin Handle And the Lizard Handle varies from country to country. But it’s safe to say that the Lizard Handle is between 20 – 30% more expensive. There is no distinction when it comes to judging which style is better. Both the diamond and chevron quilting has existed for some time now. Both styles look very classic and timeless. Which one you chooses, depends on your personal taste. There are seasons when Chanel decides to releases more chevron quilting than diamond quilting. So wait patiently for the next season when you see more chevron quilting. 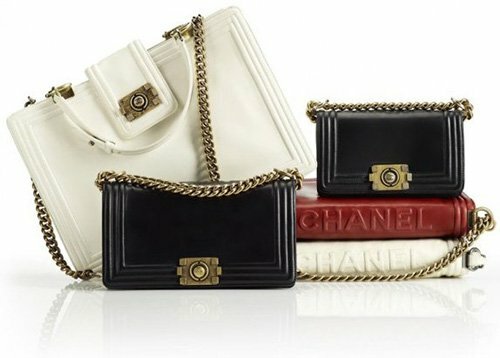 The Mini Coco Handle Bag is comparable to the Mini Classic Flap Bag (even tough it looks much larger on the pictures). The Small Coco Handle bag is comparable to the M/L classic Flap Bag. 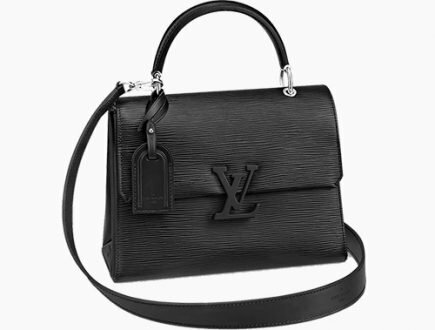 And the Medium size is comparable to the Jumbo Classic Flap Bag. But there is more important information. If you want the diamond quilting, it’s very easy to recognize the mini and the small size. Just count the amount of diamonds. The Mini has 6 diamonds and the Small has 9 diamonds. However, according to Jasmine who has recently bought a Coco Handle, it much harder to distinguish the size of the chevron quilting. The design of the diamond and chevron quilting is different, and thus it has an effect on the body as well. The Chevron Coco Handle is slightly smaller than the Diamond Quilting. And there are also price differences between the Diamond and Chevron Quilting. We didn’t expect this because the prices of the Classic Flap Bag in diamond and chevron quilting are the same. But anyways, here are the price analyses. We compared two Mini Coco Handle Bag in Lizard Handle. One bag is in Chevron Quilting, the other one is in Diamond Quilting. The style code is: A92990. There are price differences between the Diamond and Chevron Quilting depend on the country. According to the analysis above, the prices can vary between 5 to 12%. 1. Where are you going to buy the bag? In which country? 2. Use this page to find out the price differences between the calfskin and lizard. 3. Use these analyses to discover whether there are price differences between the Diamond and Chevron Quilting.